* STRONG SPORTY FRAME DESIGN. Featuring a strong frame with a double layer bottom tube,the tandem has enough strength to withstand the weight and heavy pressure of two people in a large rang riding. * LARGE POWERFUL MOTOR AND LONG LASTING LITHIUM BATTERY. With its hub mounted 750 watt BAFANG brushless motor and 48V 14.5AH lithium Panasonic battery, the MOTAN M-250 has the power and range to accompany you on adventures of almost all length and duration on a single 4 hour charge. 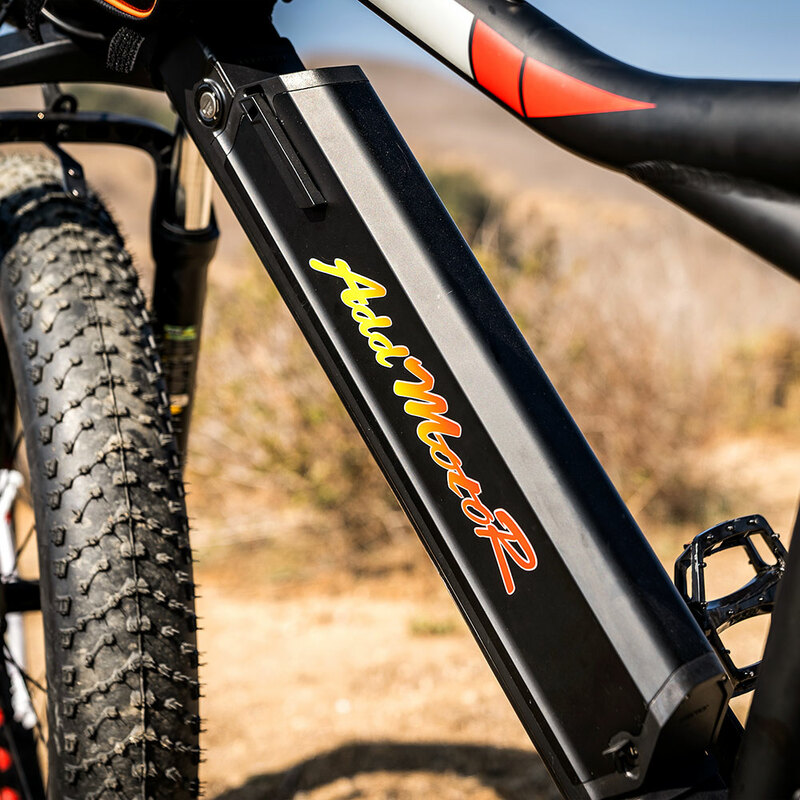 And with the powerful 750 watt motor you can easily reach up to 25 miles per hour on battery power alone,or move along even faster by using the pedal to assist. 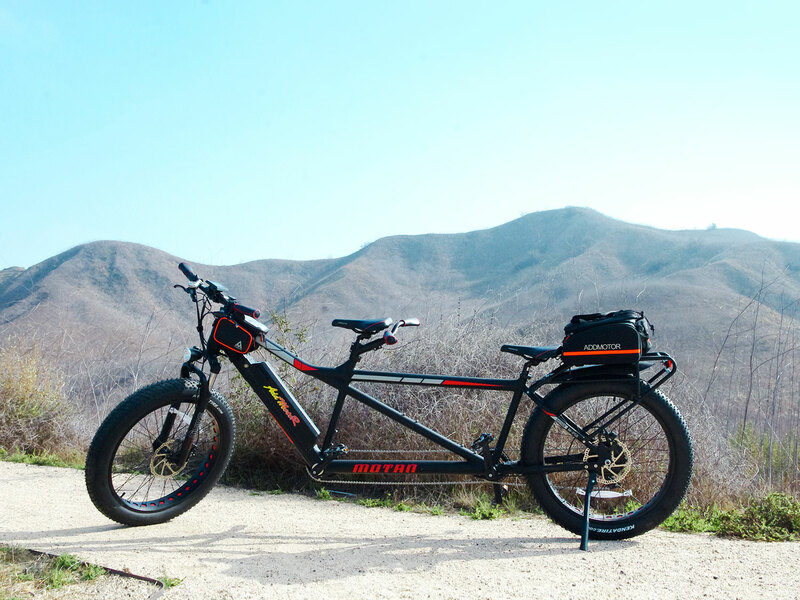 Single charge can run up to 30-40 miles, so that you can never worry about the endurance of the tandem. 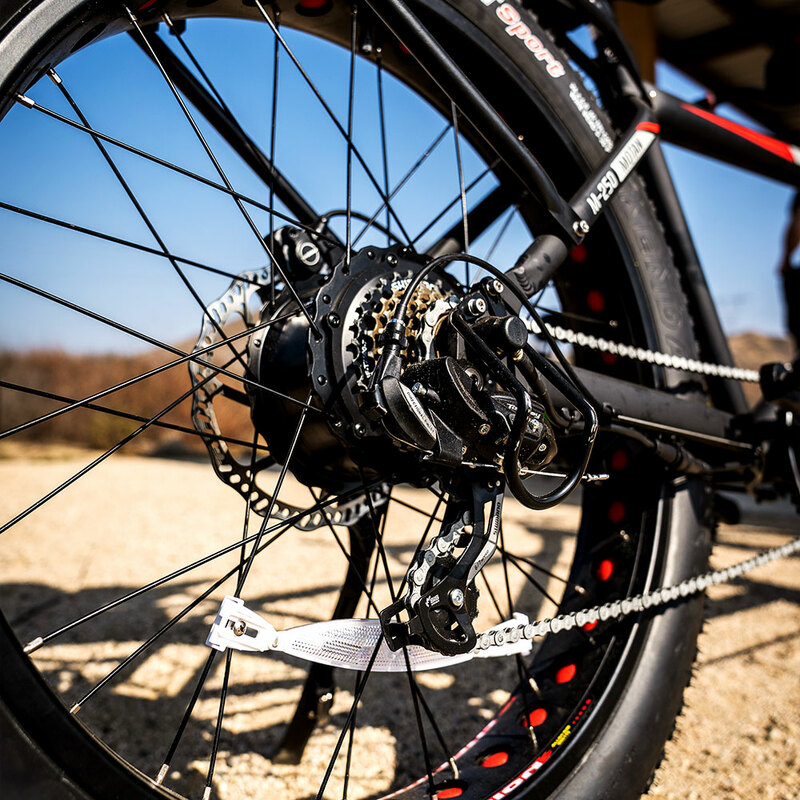 * TEKTRO HYDRAULIC DISC BRAKES. 7 speed TEKTRO drivetrain with hydraulic disc brakes make the tandem as fast and maneuverable as it is smooth and flexible. It can travel further, faster and across more adventurous terrain. * FAT TIRE WHEEL. The tandem combined with a 26’’x4.0’’ fat fire wheel that will give much support to the two people riding. 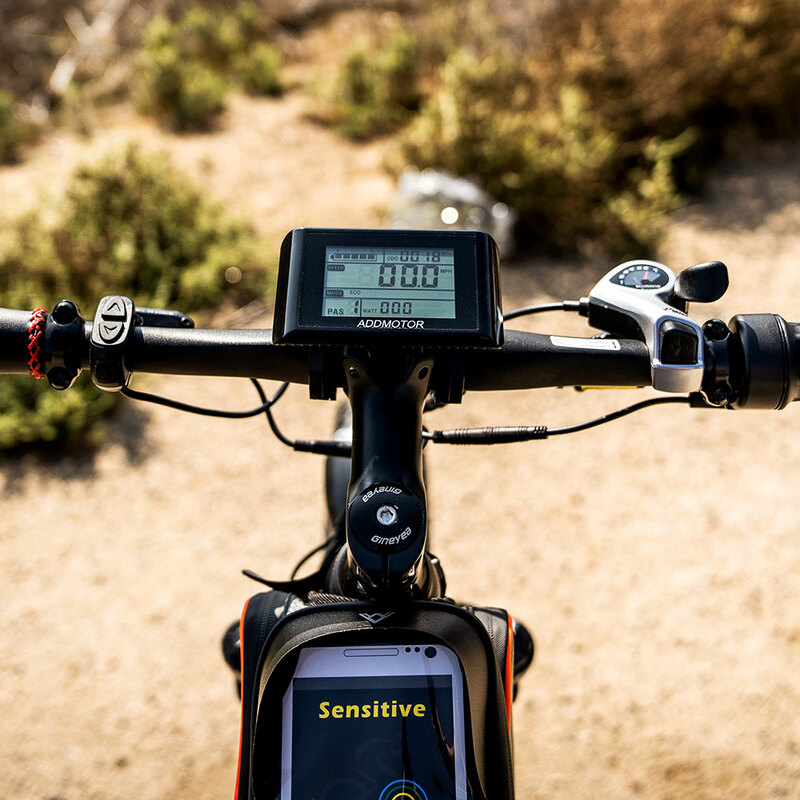 * ADDMOTOR 5 inch screen display supply the important information of the bike including distance, speed,battery statue ,PAS level and so on. 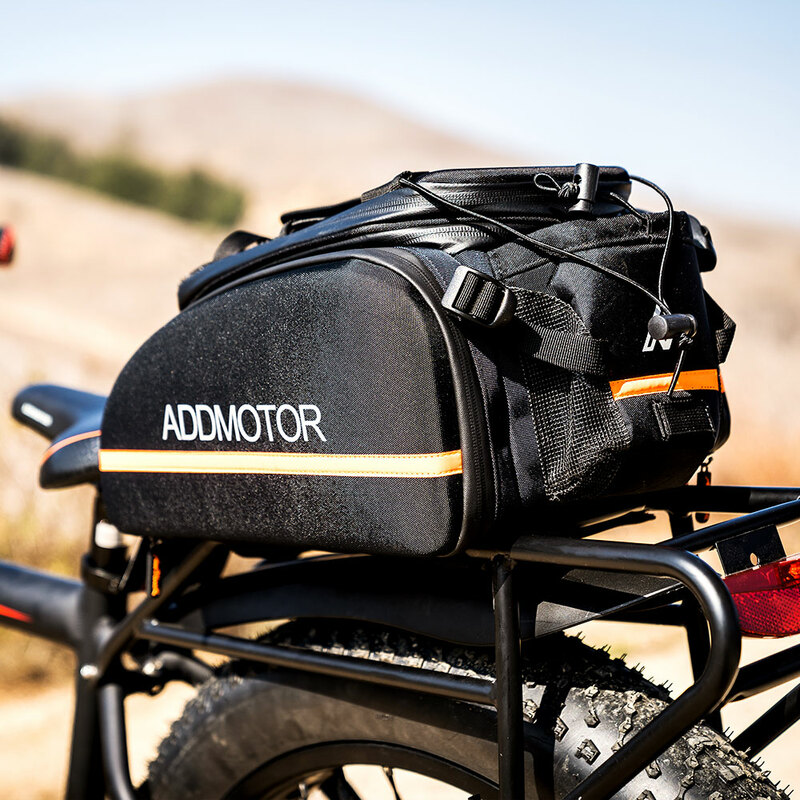 * The tandem comes with a sturdy iron rear rack that can carry anything you wanna on the go. * NON-SYNCHRONIZED CRANK, which can achieve non-synchronized rhythm or realize one person can rest,with both practicality and increase comfort. This 750W high power motor bicycle is designed for two people. 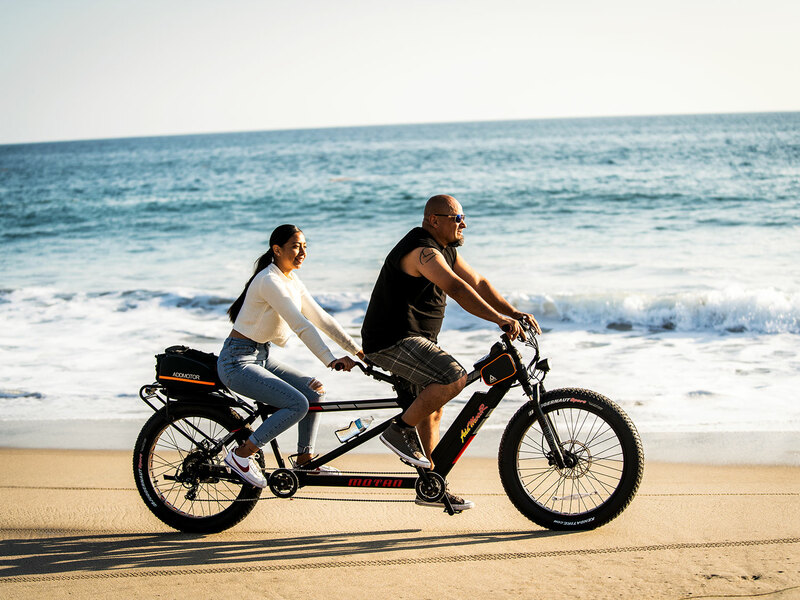 Whether you want to have a relaxing bike ride or get more rigorous exercise, this bike is perfect for families and friends.What's more, a rear rack lets you carry cargo -- maybe food and drinks for extra energy -- or even another person. Chat,sing,take pictures! Everyone agrees! A tandem bike is a fun way of cycling.